The day I decide I was going to be the best version of myself. Every morning I had to prepare his tea. If I did not do it, it was because I didn’t love him enough. If I did make his tea, he was sure I had put poison in it. And if I threw out the tea – to stop the discussions, the yelling, the unbearable stress – it proved that he was right and there was indeed poison in it. Why else would I throw it out?! This is one of the many examples of more than 20 years of my life with manipulators. One of the many examples where I was a puppet. Too afraid to be alone, abandoned, unloved and/or not recognised. Too afraid to disappoint. And, after all, they had experienced such a difficult life, how could I let them down? So I stayed. I continued thinking negative thoughts about myself and turned those into actions. They became destructive, punitive and dangerous. They became my fake friends, my addictions. I didn’t feel my desires, my ideas, and especially my emotions. Thanks to my emotions, everything was smothered, repressed and forgotten. All these years I had my guardian angel and my two most beautiful creations in my life, my two sons (read: my wings), next to me. Together they helped me to take flight, rebuild myself, and find myself. As a small bird in its first flight, I saw other paths from above. I had to admit that I found them, the manipulators, attractive. And they us. It took me many years to be born again and to understand that even if I walk away, escape, and say ‘STOP, I do not play anymore’ I will always have to be wary of recognising the manipulators and keeping them far away from me. At the end of 2013 I started an NLP-course (Neuro Linguistic Programming) where I met ‘Me, Myself & I’ for the first time. I haven’t stopped my tour since then. In September 2014 I became certified in the NLP Master training. In October that same year I attended a HBO coaching course, which I completed successfully in August 2015. Now, after three years of practising, self-reflection, and growing as a life coach, I decided to create my practice Nabarrocoaching for people who have undergone emotional blackmail and psychological manipulation. Born in Antwerp, raised in a French-speaking family in Brussels, I am the proud mother of two young adults and am now happy in love. I love life! Nevertheless, I have to work regularly at keeping everything in balance. I practice what I preach: ‘Be the best version of you’. 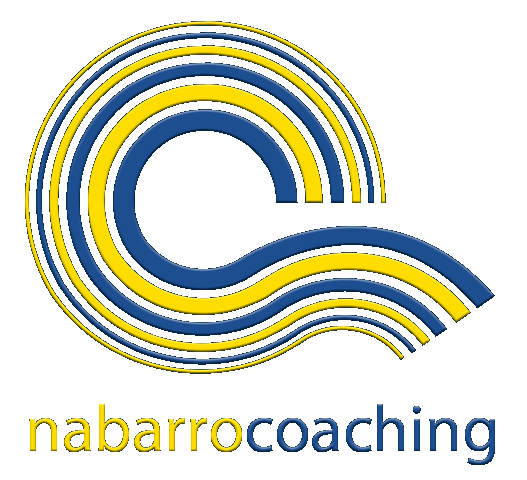 what can Nabarrocoaching do for you? Thanks to my trainings and my experiences, I can help you move forward. What do you do after experiencing this psychological manipulation and/or emotional blackmail? Who do you trust? And how? A small group will offer you the possibility for personal exchanges in a respectful environment through a trusted framework. Based on group sharing and using practical tools you will develop better self-esteem, greater self-confidence and the ability to better deal with the frustrations of life and the stress life can bring. Everything is combined with respect, humor, creativity and a touch of provocation by applying classic techniques of coaching and NLP tools. Besides that, I think it is very important to carve out some time for yourself. By combining wellbeing and my joie de vivre; I offer two 100% pure positive gifts: a 20-minute chair massage and / or a one-hour laughterworkshop. 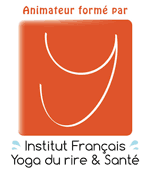 I am able to hold the group/ session in French, Dutch and English. Below you can find descriptions of the packages mentioned above. All of these will be in accordance with your needs, so we can make sure you WILL change and grow! 1 session = 50 min. The session takes place in my practice in Amsterdam-Noord or through a Skype session. Before we start a session I advise you to start with a short introduction conversation via Skype / via telephone. This session is free. If you have experienced psychological manipulation / emotional blackmail, we will do what is necessary to continue and take action to find “Me, myself & I” together. We have to recognise that we attract the manipulators and that we also find them so attractive. My role as a coach is not to help you to find the causes, nor to go back in the past. I am not a therapist. I will help you to act and become aware of how you should deal today if an identical situation occurs. And how are you moving forward? Here are some examples of how I can help you. Do you recognise any of the following in your private and / or professional life? How do I get self-confidence again? How do I deal with a manipulator? How do I save my life? How do I know if it is emotional blackmail or not? I am afraid to meet other manipulators. And don’t know what to do if I do. All my destructive ‘supports’, my addictions … how do I get rid of them? How do I keep myself in balance? Are you still doubting? You can always send me an email and / or call me. We will see what fits best for you! Let’s keep in touch because I regularly develop different workshop themes. If you have ideas about a topic, work in a company and have a specific goal for your employees, contact me. Together we will make a customise workshop. Run your world: Using Focus, Visualization and Positivity in your life. You learn what visualization is and how you can apply it with practice at home. Creative work and interactive exercises will take place. The workshop allows you to define the relationship you have with the stress. It aims to empower you to reduce and better manage your stress. Psychological manipulation at work: how do you do to say no to your boss, manager? How do you stay integer to yourself? 1 session = 20 min. Chair massage is a combination of Shiatsu, Tai yoga and classical massage. It is a typically a short, relaxing and activating massage. It is given on a special chair, through clothes, and no oil is used. I use pressure points with my thumbs and elbow to massage the neck, shoulders, back, arms and hands. I am able to hold the group in French, Dutch and English. Laughter workshop is a new idea – simple, profound and easy. You don’t need to have a reason to laugh. Based on scientist facts, the body doesn’t make the difference between a natural laugh and a forced laugh. It is a combination of laughter exercises, light stretching and breathing. We initiate laughter as a body exercise in a group and with eye contact and childlike playfulness. It soon turns into real and contagious laughter. Laughter workshop was created in 1995 by a doctor from India, Dr.Madan Kataria and it has spread across 70 countries. *At location of your choice – travel costs depending on location. *information and price upon request.